Peony, originally uploaded by RSCDoug. Ok, I know the rules state I should be running around with my camera and getting new pictures for each challenge...I did the best I could here because I got my camera the day before our LG was born. So that means that the only new pics I have are all of her, and I'm not keen on posting those...So you get a couple of the shots I've taken during her naps! 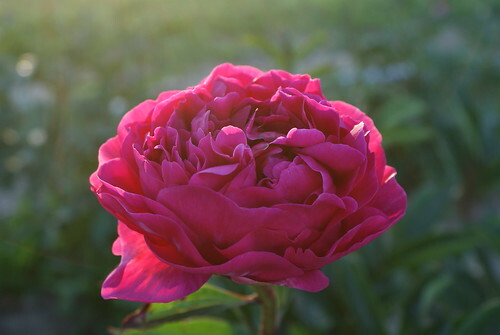 My father-in-law is a flower farmer, and his field of awesome flowers happens to back up to my yard so I grabbed this shot of an uncut Peony before the end of the season. Through the Trees, originally uploaded by RSCDoug. This second shot is of a Japanese Maple in my neighbors yard that leans over the driveway. I though it was cool the way the sun was going through the leaves so I tried to capture it the best I could. I think it turn out OK...What do you think? 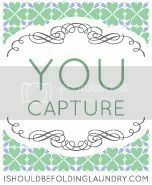 Do you want to play along in the You Capture activity? Click the at the bottom for rules and links to more great pictures. Congrats on the new camera, what did you choose? Looks like you are doing a great job with it as well. 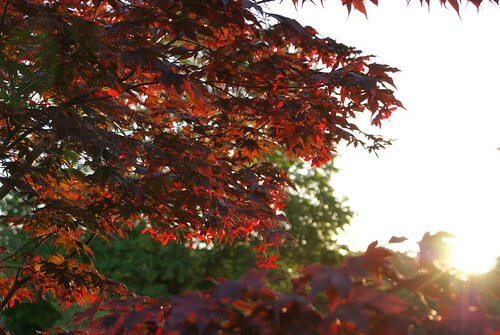 I love the warm glow in the Japanese Maple shot, very well captured! I love peones Can't spell it but love them! I love peonies...and your shots are beautiful! I love your pictures. I also love that you are a rule breaker : ) Knock yourself out. I love the color in both of these photos. I love that peony! Beautiful shots! That pink flower is gorgeous! The light on that maple is really cool! Love those reds. I agree the lighting made those photos. I know what you mean on the children photos. I did post some this week because I want some photo help but they will be pulled quickly. Oooh! These are so pretty! The peony is gorgeous! I would love to plant some in my own yard, but I know the bees are quite fond of them and I am not so fond of bees. Love the way the light is coming through the leaves on that tree. I think you did a fabulous job!